In a previous episode I related the story of a golden statue of Budda sent to Holland for examination which revealed the crouching mummified body of a monk within. Extraordinary enough. But now, in a faraway village in China, locals are saying that the mummified monk was over a thousand years old and a much revered local healer. The statue was stolen from their temple in 1995, and please could they have him back ! Our Secretary, Terry Buxton told me a strange tale the other day relating to his daughter, Laura. In June 2001 at a Staffordshire showground, 10 years old Laura wrote her name and address on a card and attached to a gold mylar baloon and released it into the wind. Two days later and 140 miles away a farmer found it, deflated caught in a neighbour’s hedge. They had a daughter, also called Laura and their surname was also Buxton. They were of the same age, size and coloring with pigtails and blue eyes; both had 3 year old Labrador dogs, grey rabbits and guinea pigs with identical markings and when they met they were both wearing a pink sweater and jeans. 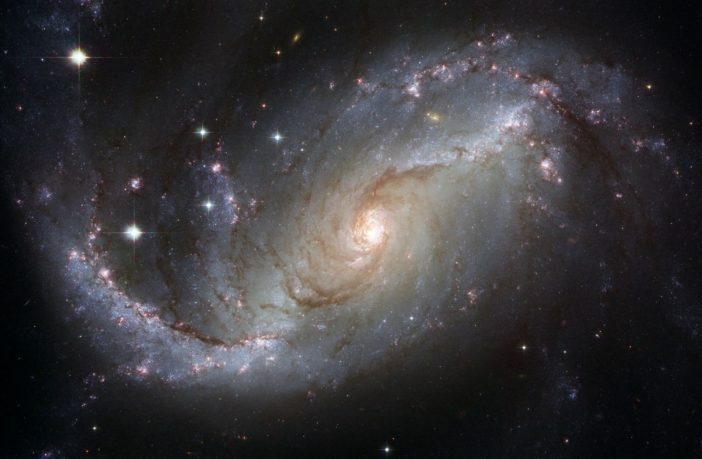 Astronomers have detected a supernova some ten billion light years away, that was brighter than all the stars in our galaxy put together. Glad it wasn’t in our backyard ! The Hubble space telescope, launched in 1990 has just celebrated 25 years of research and travelled roughly 3 billion miles. Light from the star Vega, 25 years away, travels that distance every 5 hours! The Huble telescope has just boken a cosmic record. A recently photographed galaxy, designated GN 211, has been calculated to be 13.4 billion light years away, the previous rcord was 13.2. The ‘Big Bang’ which started it all is reckoned to have occurred 13.8 billion lght years ago. A recently controlled group experiment at Negev University in Israel consisted of one group drinking 5 ounces of water, one group white wine and the other red wine. The participents’ HDL (the good cholesterol) was tested at the outset, but it was noticably elevated in the group that drunk red wine. A rare Caxton page from Reading University. Hidden amongst the many tomes in the University library, one of only two surviving pages (the other is in the British Library) from the earliest London printing from the press of William Caxton, in 1476 /7. A three thousand year old bronze age settlement has recently been unearthed in Must Farm quarrey in Cambridgshire. The remains in the huts, apart from various implements may enable scientists to tell us what the people were wearing and the food they were eating when the mudslide enveloped the settlement.